(Newser) – A father and his three teenage children are missing off the Gulf Coast of Florida along with the 29-foot sailboat they were taking to get repairs. The Coast Guard says the man set out from Sarasota around 7am Sunday, bound for Fort Myers, but WFLA and NBC News report he called his brother at 3pm to say "the sailboat was in 6-foot seas and he was attempting to survive with his children offshore of Englewood," which falls nearly midway between Sarasota and the family's destination. 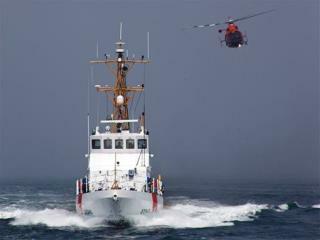 A relative alerted the Coast Guard Tuesday morning when the boat hadn't returned. The WFLA story has been updated that they found a body (although it hasn't yet been identified). Not looking good. How sad.
" a 13-year-old son, 15-year-old son, and 17-year-old daughter, all of whom apparently live on the sailboat with their dad." On a 29 footer? Maybe it was mass suicide! They couldn't friggin TAKE IT anymore! That's a lot of people living on a 29 ft boat. The repairs may have been minor. We don't know but he most definitely should have had a radio. Six ft seas on the open water are not that uncommon. We don't know if he was a skilled sailor able to navigate them. Any way you turn it, it is a very unfortunate situation. Skilled sailors will tell you of close calls on the open sea. No matter how well you think you know the ocean, you do not.